1. Can not be used too early. 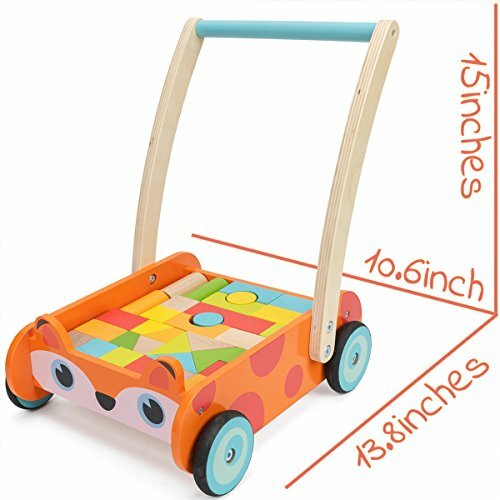 It is best not to try to use a walker until your baby is 10 months. 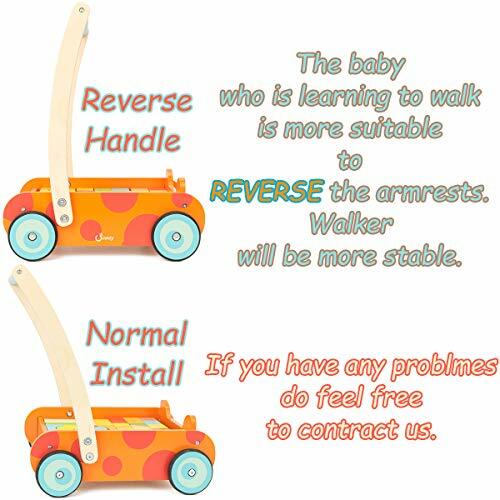 Premature use of the walker will cause the baby to skip the natural growth and development of “crawling”, resulting in poor balance between the body and the muscles in the future. 2. When the baby uses the walker, parents must be on the side to avoid accidents. 3. The environment of the toddler must be safe. 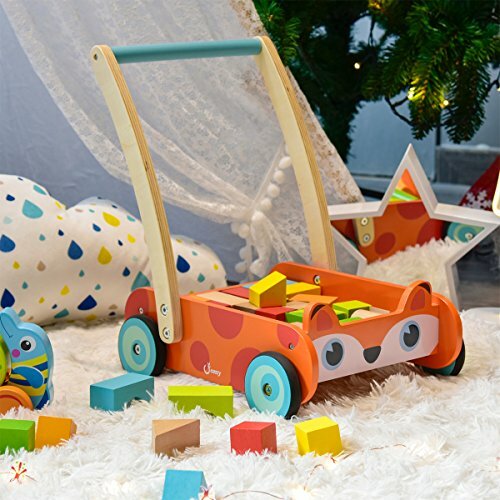 · To create a space for your baby to practice walking, keep away from electrical appliances and sockets, and minimize the accumulation of debris. Take away the ribbed things around you to avoid the furniture recessed in the toddler space. · Do not on the slip ground, do not have a slope. · Small items that the baby can get must be taken away, in case the baby puts foreign objects into the mouth. 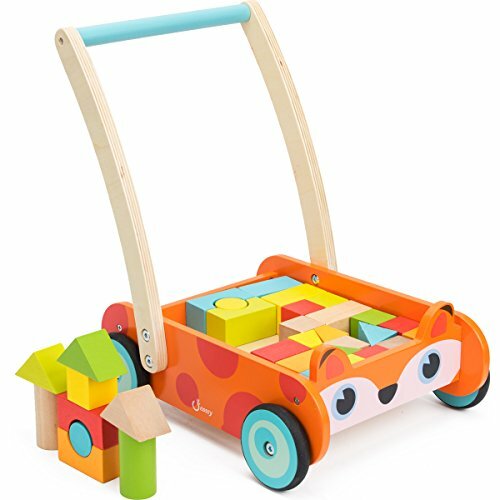 – A roll cart and 34 brightly colored stacking blocks. 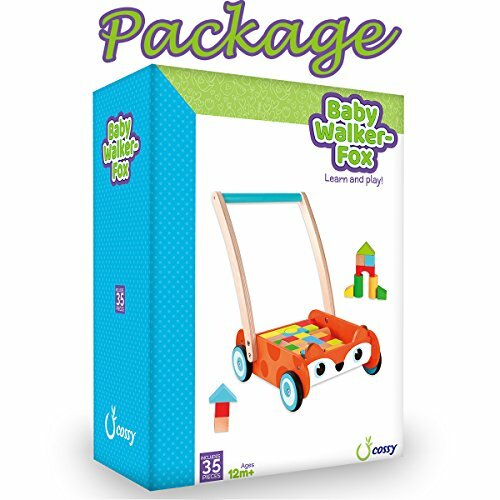 Fox Baby push and pull toy allows your child’s first steps unforgettable and engaging. 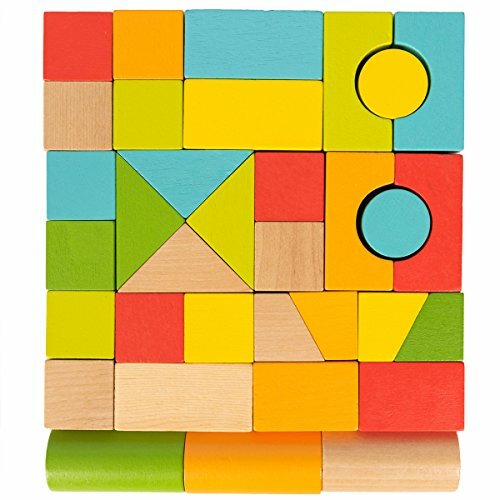 Building blocks can inspire children’s manipulative ability, imagination and creativity, problem solving, social skills, motor skills. 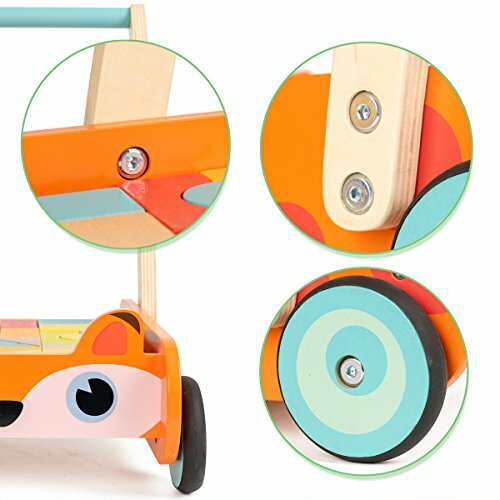 Sturdy wood craftsmanship from sustainably sourced forests, the paint is non-toxic. Recommended for ages 12 months and up. Good gift for 1 year baby!